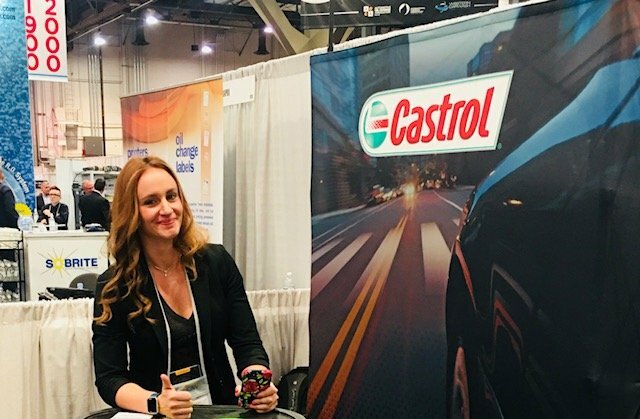 The ASCCA Revenue and Benefits Committee is proud to announce that it has selected Mackenzie Merz of Castrol as ASCCA’s March Partner of the Month. Each month, an ASCCA partner is recognized for their steadfast support of ASCCA, its members, and the automotive repair industry, and their commitment to ASCCA’s Core Purpose: To elevate and unite automotive professionals and give them voice. Castrol has been a Corporate Partner since 2017. They are an innovative company that markets high-performance engine oils and business-building programs directly to independent workshop owners. For over 23 years, Castrol has been the only major marketer to manufacture its own premium, custom-made additives for its leading passenger car motor oils. When asked how her partnership with ASCCA has benefited Castrol, Mackenzie replied, “Partnering with the ASCCA has been a huge differentiator for Castrol. It has benefited our business by opening the doors to many independent workshops that in the past we couldn’t get into. Being a part of the ASCCA softens the sales calls. Many times, when the owners and managers found out we were corporate sponsors of the ASCCA, they tended to be more open and welcoming to our discussions. The members within the ASCCA group are big advocates of suppliers that are invested into the association. When they see investment from suppliers, like Castrol, they also see loyalty to the group. Thank you Castrol for your enduring commitment to ASCCA! Our organization and its members have benefited tremendously from your knowledge and partnership throughout the years.